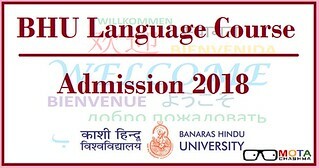 BHU Language Course Admission 2018 application process has started for the candidates who wish to enrol in BHU Languages Courses at Banaras Hindu University Campus. Candidates who are willing to get admission in the 1-year certificate program, Part-time Diploma/Certification, or Full-time PG Diploma program in the Languages & others courses are required to fill the application form by 31 August 2018. The last date to submit the printout copy of the application is 5 September 2018. The diploma/certification courses are offered by Faculty of Arts to only regular students of the BHU currently enrolled in any ongoing full-time course of Banaras Hindu University. The candidates who have 10+2 (Intermediate) or Higher education certification can apply for BHU Language Course Admission. Latest Update: The Last date to submit the BHU Language Course Admission application form is 5 September 2018. For Part-Time Certificate Courses which are offered by the faculty of Arts is open for the regular students who are currently enrolled in an on-going full-time program in Banaras Hindu University. Candidates who are pursuing their PhD program at the main campus are eligible admission within the 2-years from the date of their PhD registration. The qualifying exam is 10+2 or above. 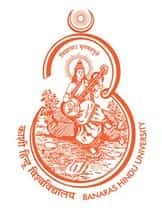 Candidates must be enrolled in any on-going full-time course of Banaras Hindu University within the main campus of BHU (excluding Affiliated Colleges and Rajiv Gandhi South Campus, Barkachha, Mirzapur). Candidates must have 10+2 (Intermediate) or higher education certification. Members of staff of the University are also eligible for these courses for which they are required to get their forms forwarded by the Director of the institute/Dean of the Faculties/Principal of the colleges/ schools and heads of the Departments/ Offices where they are working. Not Eligible: Candidates, who are in their final year, of course, are not eligible. Bonafide BHU students who are in the Final year of their program are NOT ELIGIBLE for Diploma Courses. For Diploma in English, the applicant should possess either Certificate in English or English as the subject at Intermediate level. The admission to Full-Time PG Diploma Course is Open to All. Candidate should not be enrolled in any full-time course of the University/elsewhere. The application form is to be submitted in the online mode, and there is a common application form for all the language courses. The candidates are required to fill and submit the application form and application fee in online mode only. The Shortlisted candidates for the Provisional Admission shall bring all the required original documents like Mark sheet of the Qualifying examination, Caste Certificate, Proof of BHU student, Proof of PhD Registration etc. in and report to the Admission Committee for Final Verification process. The BHU Language Course Admit Card will be issued to the candidates only after the final verification of their essential documents. The application form must be forwarded to the Director of the Institute/Dean of the Faculties/Principal of MMV/Head of Department of which they belong and to enclose the attested copy of first instalment fee receipt & Bonafide certificate of the current session at the time of submission of the application form. The candidates have to fill the online application form and deposit the application fee of Rs. 200 for each course for General and Rs. 100 for SC/ST/PC at bhuonline.in. The BHU language courses include Full-Time PG Diploma Course and Part-Time Certificate/Diploma courses, The courses can be pursued in the given below languages.